Steamboat Springs recently hosted a gathering of mountain bikers from around the world. 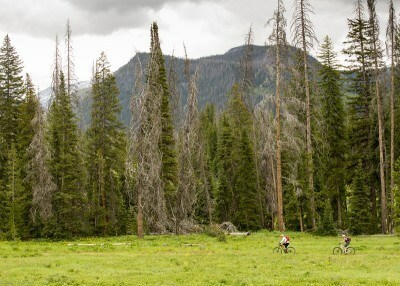 It's time for RMBB to the pay a visit and learn why the trails in Routt County are creating buzz in the mountain biking world. We'll stay four nights at two private homes adjacent to the slopes of Steamboat Ski Resort, which features an extensive network of trails. Cost of accommodations, which includes most meals, is $360 per person (dbl. occ.). This event was added on 7/6/2016 by an RMBB member and was last updated on 7/6/2016 by an RMBB member.